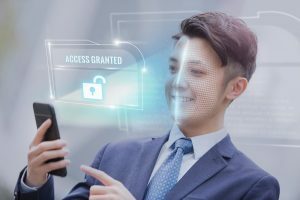 When it comes to buying a cell phone, there are a lot of factors to consider; one of them being whether you should by a locked or an unlocked phone. More and more people are becoming aware of the benefits of unlocked Cell phones and choosing this option over locked phones. But what are unlocked phones and what advantages do they offer over locked phones? Keep on reading to find out! Locked Phones vs Unlocked Phones: What’s the Difference? A locked phone is bought from a specific cellular carrier. The phone is programmed so that it will only work with the SIM cards provided by the carrier that it was purchased from. Typically, you’ll be bound to the carrier’s contract, which means that you’ll have to use the carrier’s network for a specific period of time; usually one or two years. Unlocked phones, on the other hand, are cellular phones that aren’t connected to a specific network provider. These phones can be used with any carrier that works with Global System for Mobile Communications (GSM). Unlocked phones have the ability to recognize SIM cards from any network that’s associated with GSM, and they aren’t bound to a subscriber contract. Better Compatibility. Since unlocked phones aren’t programmed to work with one specific network, you have the ability to switch between different GSM networks. If you travel a lot, this can be particularly beneficial for you. Why? – Because once you are out of the coverage zone of one provider, you can switch over to a network provider that’s available in your area. Cost-effective. Initially, unlocked phones might seem more expensive than locked phones. That’s because you do have to pay the retail price of the phone; however, over time, unlocked phones are actually more affordable. Since you don’t have to be a long-term subscriber to a carrier, which means that you can change providers whenever you want to without having to pay expensive early termination fees. You can also use an unlocked phone with a prepaid SIM card, which offers more affordable rates for messaging and calls. And, there aren’t any expensive roaming fees to deal with because you can switch service providers whenever you need to. More Options. 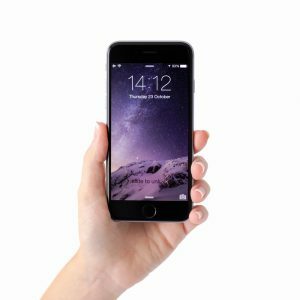 With a locked phone, you are limited to the makes and models that the carrier provides, so if there’s a phone that you would prefer to use and the carrier doesn’t offer it, then you’re out of luck. But with an unlocked phone, the options are limitless; you can choose from a wide-range of phone makes and models. If you’re interested in taking advantages of these benefits and more, check out the huge inventory of unlocked smart phones at the Wireless Place; one of the most trusted unlocked phone providers on the Internet.